For teens who grew up reading and adoring The Giver and The City of Ember. 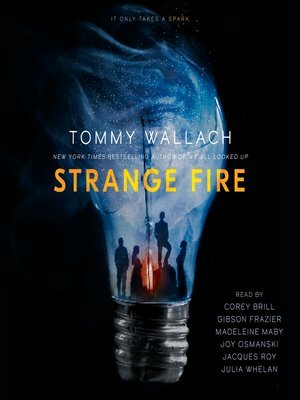 Oregon Trail meets Westworld in this epic new trilogy from the New York Times bestselling author of We All Looked Up, Tommy Wallach. Knowledge has always been the enemy of faith. They said that the first generation of man was brought low by its appetites: for knowledge, for power, for wealth. They said mankind's voracity was so great, the Lord sent his own Daughter to bring fire and devastation to the world. The survivors were few, but over the course of centuries they banded together to form a new civilization—the Descendancy—founded on the belief that the mistakes of the past must never be repeated. Brothers Clive and Clover Hamill, the sons of a well-respected Descendant minister, have spent their lives spreading that gospel. But when their traveling ministry discovers a community intent on rediscovering the blasphemous technologies of the past, a chain of events will be set in motion that will pit city against city...and brother against brother. Along with Gemma Poplin, Clive's childhood sweetheart, and Paz Dedios, a revolutionary who dreams of overthrowing the Descendancy, Clive and Clover will each play a pivotal role in determining the outcome of this holy war, and the fate of humanity itself.